Given that you’re reading this, we’re assuming that you regularly invest time in your marketing education. Along your journey, you’ve almost certainly come across the term ‘A/B testing’, yet for those of you who aren’t pro marketers this term may seem elusive. So here we demystify A/B testing (other jargon for which is ‘split testing’ or ‘bucket testing’) – explaining the why and the how – for conversions that improve month on month. A/B Testing – what’s the point? Let’s face it, no matter who your target market is, business consumers are notoriously unpredictable, making marketing campaigns anything but a precise science. What may seem like a winning advert, a great video and a well-designed landing page, can fall miserably flat. Now that that’s out of the way, what exactly is A/B testing? 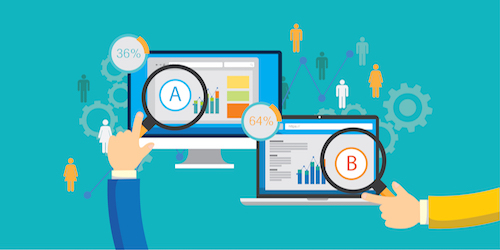 A/B testing has a simple concept – comparing two versions against one another and testing them both to see which converts better. Think of it as an experiment – one in which there are plenty of variables to fiddle with to find out what’s working, what’s not, and what’s worthy of further exploration. Given the mammoth number of objectives that A/B testing can aim for, and for the purposes of keeping this feature super clear, we’re going to take the example of a social advert and run with it. However, the same principles can be applied to many of your marketing tasks – such as your landing page, app, website home page, ecommerce store or search engine PPC. We’re huge fans of Facebook, we like the sheer versatility of adverting options, not to mention the incredibly precise targeting options. So, it provides for fertile ground on which to play around with your marketing campaign. – Capitalised words in the copy – Free EBOOK download or FREE eBook download? – The capitalisation of the copy: Free EBOOK download or FREE eBook download? While you should be aiming to test numerous elements during your testing, you won’t ever be able to draw any certain conclusions as to what’s working, and what’s not, if you test any more than a single element per round. Even if you’re just testing the headline copy of an ad, you really need three or more differing versions to get to grips with how this critically important part of your ad is influencing your audience (or not, as the case may be). Unless you’re working with a huge marketing budget, you’re going to have to draw the line somewhere when it comes to what elements you test. This should always include the placement (feed versus right hand column) if you’re testing a Facebook advert, and beyond this, our top three elements would likely be: headline copy, image and content type. A/B testing is about driving results and reducing marketing costs. But the saying that you need to speculate to accumulate certainly applies here. If you spend too little on your A/B testing, your results are going to invalid. You need a healthy chunk of user data to draw on. So far, we’ve spoken only about the elements that appear on your advert, or where it may be placed. However, there’s really a wide-ranging collection of external variables that could and should also be tested, at least where FB ads are concerned. When you choose this approach, the good news is that your audience won’t be presented with every advert variation, which will happen when you use multiple sets. The bad news? This campaign structure will lead to Facebook auto-optimising your adverts, meaning that you won’t receive relevant results. This second structure gets around the problem of Facebook optimising your adverts with only minimal data to go on. However, you may find that some of your audience are shown numerous ad variations over the course of your campaign. The other way of looking at this is that it could lead to richer results that identify what it is that gets these people clicking. Cutting to the chase for this section, if you want valid testing results, you’ll need to set your campaign up with each variation in a single ad set. Super-do-what now? Let’s clear that term up first – superlatives are adjectives (a word that describes or clarifies a noun, such as: “an old mare”, “a young horse” or “a strong stallion”) or adverbs (a word used to modify a verb, an adjective, or another adverb, such as: “the colt runs quickly”, “he ran the race incredibly slowly”). An extensive study of headlines by Outbrain discovered that headlines with negative superlatives performed a staggering 30% more effectively than headlines with positive superlatives. Rather than “always” or “best” performing well, it was words such as “never” or “worst” that created the most engagement. 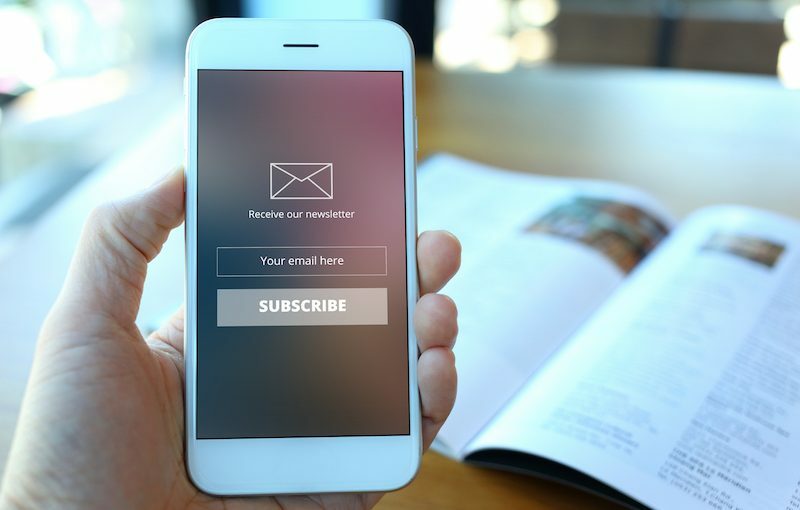 Headlines that include questions, statistics or a promise of a step-by-step how-to solution, and directly addressing the audience, can all be tactics that work well for conversion, and are more than worthwhile split testing within your campaign. So, your split testing went well, and you now have a single, seriously effective advert when it comes to conversions. But what about the journey onwards? 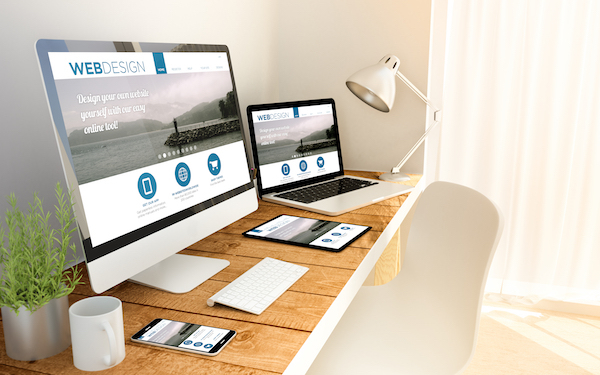 There’s little point in perfecting your advert if the landing page or website destination is going to be disjointed. Make sure your design, brand colours, tone of voice and imagery all fits together, and most of all ensure that you make good on any promises provided in the advert – such as resolving a problem, providing information, or offering a free eBook download. A/B testing takes a lot of time, plenty of effort, and an ongoing commitment to studying stats and data. If you’d prefer to be crunching numbers that include £ signs, rather than user data, you may want to leave the marketing campaign and testing to us. Call our team on 01953 851513, or send a message over and we’ll be right back in touch –[email protected]. – For increased sales… 87% of Pinners have purchased a product because of Pinterest (Pinterest). – For boosted average order value… Those who interact with a Promoted Pin spend 7x more than others (Pinterest). – For business growth… Brands on Instagram with over 100K followers have grown by 163% in two years (Simply Measured Q3 2014 Instagram Study). – For users that take action… 75% of Instagram users take action, such as visiting a website, after looking at an Instagram advertising post (Hootsuite). Interest piqued? Then we should get to work on your fast-track Instagram and Pinterest mastery! Only 28% of marketers use Instagram. The question we’d like to ask is why? After all, this is a medium of impressive stats: with 200 million users who upload 60 million photos every single day. It’s also a platform where engagement rates are a staggering 15 times higher and a plain, unbelievable 20 times higher than Twitter. 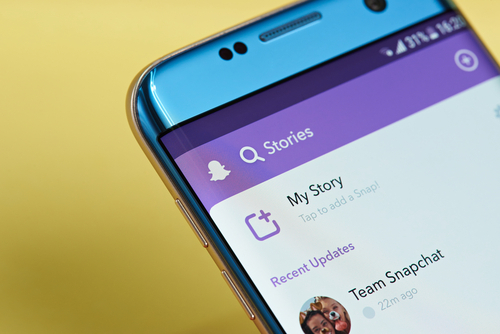 With the case made for Instagram, let’s get to grips with adverts that capture interest, clicks and sales. Colourful subject matter, close up photos, tight product shots, untraditional angles and motion blurred backgrounds can add dynamism to your images. 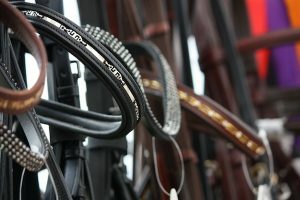 Instagram users are especially open to images that tell a story, and before you think only the likes of Kim Kardashian are suited to drama and intrigue, consider this: equine businesses, no matter the specific product or service, typically rely on custom from a close-knit collective of target markets. 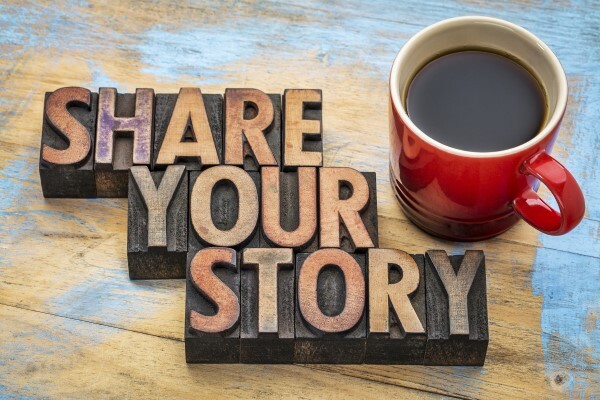 So why not tell the stories of your customers – those who others can relate to, and that they share similar problems with. Today Instagram has extended their advert options to also include video and carousel ads. So, which is most effective? In most instances campaigns benefit from using all three, as you can A/B test to see which is driving the most results (look out for our upcoming guide to A/B testing in the May issue if you plan on taking this approach). Using multiple formats can also reinforce a single campaign message. 1. Select a post to promote and tap the arrow in the top right-hand corner. Instagram has helpful in-built objectives, such as driving more profile and website visits or reaching people close to an address. This is coupled with actions and suggested text. Our top tip when it comes to budget and advert duration is to begin with a modest budget, for a trial period, over which time you’ll A/B test the life out of your ads. With your budget and duration set, you’ll wait a short while for the approval of your promotion. To view these, you’ll need to select the post on your profile, and click on ‘View insights’. This will lead to the demographic breakdown, click-through data, impressions and reach, as well as insights into the number of views before the post was promoted. Pinterest offers one thing almost every other social network doesn’t – longevity. The fact that your pinned images can pop up in feeds even following 4 to 5 months means that your efforts and investments here could and should secure better ROI. Choosing keyword rich names for your images on your website and on Pinterest will help drive your images up the search engine results – a seriously underappreciated potential source of organic traffic. The worst possible alternative is to opt for device generated names, such as DSC_08364.jpg. Ensure that your blog images are being pinned by those reading your content by adding a ‘Pin It’ button that appears whenever their mouse hovers over the image. You may not be able to spot the difference between a business page and a personal page from the front end, but the back end of Pinterest is a different matter. Here you’ll find plenty of helpful analytics, metrics and data – including the number of unique users, number of re-pins, impressions, content that secures the most re-pins and site visits. All super helpful stuff when it comes to tracking whether you’re Pinterest strategy is working. Boards should be used wisely to split your content into categories. That could mean a board for your infographics, another for your guides, a further one for ‘behind the scenes’ at your business, and so on. Group boards allow you to invite other users to pin to your board, however you retain the ability to edit the title and description, as well as being able to remove pinners and pins should you wish to. This could be especially powerful post equine-event – say for creating a board of attendees whom you’ve connected with at BETA, for a highlights reel from the day. 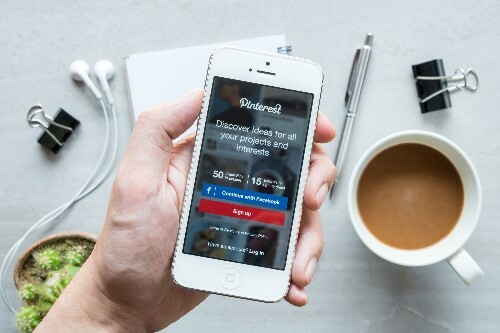 Pinterest may be an image-based social network, but people are still hungry for helpful information – no one more so than your fellow businesses. For this, you need to consider how you can deliver easy, bite-size chunks of information through your images. And for that, the infographic format is likely the most obvious choice. That said, not all businesses have the time and money to invest in creating infographics (which require both research and graphic design, although there are free infographic makers out there, such as Canva). If you’re too money and time-short, simply take the time to discover quality content from others that you can share. – Optimize your “About” section – Ensure it’s keyword rich, engaging and 100% unique. And with that, your visual marketing masterclass is complete. But if you’re feeling less pretty-as-a-picture and far more t-and-miss, it may be time to leave Instagram and Pinterest to the professionals. Call our team on 01953 851513, or send a message over and we’ll be right back in touch – [email protected]. 2017 – what a year it was. We received a masterclass from brands the world over as to how social conscience should be demonstrated; we saw a fresh focus on long scrolling websites; and we watched in awe as video marketing surpassed all expectations in terms of uptake and the results it can secure. For you, the average equine business owner, this rate of change was perhaps head-spinning. Unfortunately, one thing’s for certain – the world of marketing waits for no man, woman or horse business. Getting ahead of the competition today demands that you get a firm grasp of upcoming digital marketing tools and techniques before they’ve become mainstream. So let’s talk about what’s going to prove hot property in the marketing world, over the coming 12 months. For those who haven’t heard, ‘content is king’ is just about the most over used expression in the marketing sphere. In short, it describes the power of blogs, articles, videos, eBooks and so on – not only for Google ranking, but for creating trust, building a social fan base and sparking conversations. In 2018, the content businesses create will become more personal to smaller groups within an audience. No longer will a single campaign feature just one blog, but it will direct different groups to different versions of a blog. Known as hyper-personalisation, or smart content, this approach will be teamed with ‘native’ advertising for a smooth journey from Google search to relevant content. Over the past few years, content marketing has become so widely employed that it’s now reaching the point of saturation. When everyone has taken the time to create valuable content, target markets can become overwhelmed with options – watering down the investment you’ve made in those oh-so carefully crafted blogs and guides. Influencers are those who hold authority in the equine world – individuals who people listen to and trust in. It is in teaming up with influencers that we predict the real ground will be gained in 2018 – a tactic that can ensure that you stand out, and aren’t fighting tooth and nail for attention that does your content justice. 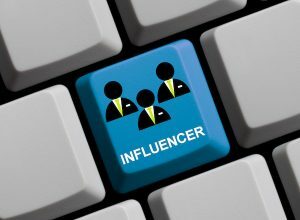 Interview your influencer – either at a trade show such as BETA, or at your place of business. Reach out to influencers by asking to guest post on their website – this has the added bonus of boosting your organic website traffic, as well as growing your fan base (if, and only if, your content captures their audience). Video marketing has boomed in recent years, and little wonder why when we look to just a few of the impressive stats and facts behind this medium – stats such as 80% of consumers preferring live video over and above reading a blog. And facts such as 67% being more likely to make a purchase after watching a video demonstration. But it’s time for a little honesty – are you still ignoring video marketing for your equine business? 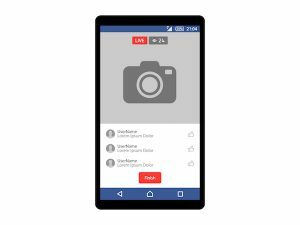 This is the year that businesses will increasingly capitalise upon the interactivity of live streaming. Of course, not everyone has the presentation skills of Clare Balding (notwithstanding her once terrible faux pas), so it may be that you need to turn to the professionals for live video production. Not so long back we wrote about the unique traits of Millennials, and how your business should already be adapting to this up-and-coming generation. Fast forward some 12 months and we’re already talking about the next new in-take. Known as Generation Z, the iGeneration, Post-Millenials, or the Homeland Generation, these are individuals who were born in the late 1990s to mid-2000s. But don’t let their youth fool you – these individuals are far from the wet-behind-the-ear types they’d have you believe. Don’t be afraid to go live – it’s what consumers want! They are willing to hang up an answered business call after 45 seconds, they search out information online via mobile before forging ahead with a purchasing decision and are more than willing to post a product review given the right impetus – good or bad. Given this laundry list of expectations you may need to consider a customer care overhaul; a mobile ready, content smart website and a new campaign innovatively pushing for reviews. Only 38% of businesses spend cold hard cash on social media marketing, but times are changing. And not through choice, either. Saddle up, it’s going to be a bumpy ride on social platforms this coming year. 2018 will be the year that free reach all but disappears. For some time now, as social platforms have pushed their advertising solutions, the average FB update or Tweet has reached fewer and fewer people’s feeds. Now? Organic reach is as low as 2% over on Facebook. If that weren’t depressing enough, the real kicker is that 2018 may be the year that Zuckerberg makes it a prerequisite to sponsor every, single, post. In short, you’re almost certainly going to have to take social PPC seriously if you wish to continue winning business on platforms such as Facebook and Twitter. We’re entering a new era for In. 2018 will see authentic team photos becoming not just advisable, but essential (so Sally the stock photo receptionist should really be consigned to the history books). Fonts will also become blockier and layouts more minimalistic (goodbye clutter!). 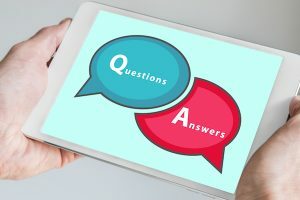 Other web trends to tap into for your web presence should include a doubling down on your efforts to understand your audience – consider their key questions, concerns and hurdles, and create your content around it. In 2018, more than 50% of organizations will redirect their investments to customer experience innovations. 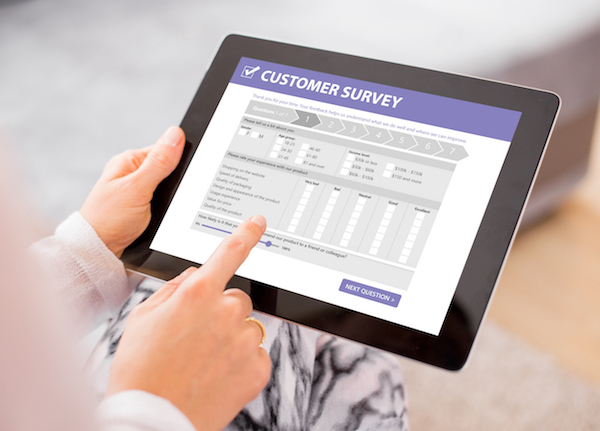 Customer experience is set for a shakeup – one that should involve asking your customers for feedback to improve, providing chatbots for instant online answers and employees who are re-trained to put the customer at the centre of all they do. 41% of marketers create content to match specific points in the buying cycle. Are you amongst them? ‘Big Data’ may seem a marketing buzz word reserved for corporate big boys, but in 2018, it’s really a concept to get to grips with. 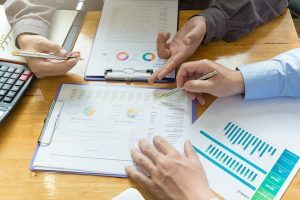 While you may not need vast swathes of market data, being an SME in the equine world, you should ponder how data can help inform your strategy. Customer journey mapping – understanding your customer’s buying process and the information they seek – could and should be shaped by the data you gather. At this point we’re going to blow our own trumpet, as way back in 2016 we put together a piece for Equestrian Business that walked through the process of sales funnel creation. In 2018, some two years on, it seems that it’s never been more relevant. But where exactly do you get this data? Forget expensive research, privately purchased data or complex questionnaires – simply speak to your customers, find out about their journey from A (when you were unheard of) to Z (when they became a repeat purchaser). Focus on understanding the micro decisions they made along the way and the concerns that they face today. The coming 12 months promise to be a whirlwind of live streaming, paid social ads and customer journey maps – offering plenty of opportunities to canter right on past the competition if your strategy is on point. If you’d prefer to be doing what you do best, it may be time we talked about how our equine marketing can help. Contact PressPoint Countryside & Equestrian – call our experts on +44 (0)1953 851513 or email: [email protected]. The business world has changed – no longer are websites anywhere near enough to attract attention online. Today, social media is a non-negotiable – a crucial element of your marketing strategy. Yet the struggle is real for many SMEs – keeping pace with a world that’s forever evolving is no easy feat, and when you have a busy equestrian business to manage day in, day out, the time that social media should demand can swiftly canter away. We understand your challenges, we appreciate just how busy you already are, so here’s a no-nonsense guide to social strategies that will boost your business, without demanding advanced technical skills or impossible to keep schedules. Chatbots – they’re revolutionising the way in which customers interact with businesses over social media. They’re also replacing customer service agents – saving time, saving money. Chatbots are far from the impersonal, robotic experience that you may imagine – when done right, your chatbot could deliver a truly personalised experience for your customers. Your blog posts, media and visuals must grab attention and deliver value to your audience – two mission-critical elements of quality content. – ClearVoice – This versatile, complete content-marketing system streamlines your workflow and merges your branding, content creation and publisher communities. – Outbrain – This platform is going to be super useful if you struggle with publishing and distributing your content to platforms beyond social media (such as news sites and niche networks). – Buzzsumo – Wondering which social platform will be best to post on? 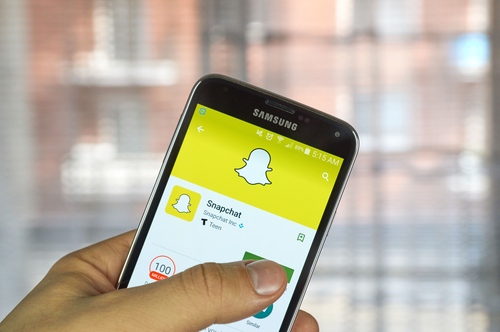 Want to know which influencers or competitors are gaining the most social ground? Buzzsumo is an essential for all of this, as well as for helping you uncover topics to create content around. People don’t buy from companies, they buy from people. This notion is especially true out there in the big wide world of social media, where many companies can seem the same if care isn’t taken to inject personality and a human voice behind the pixels. 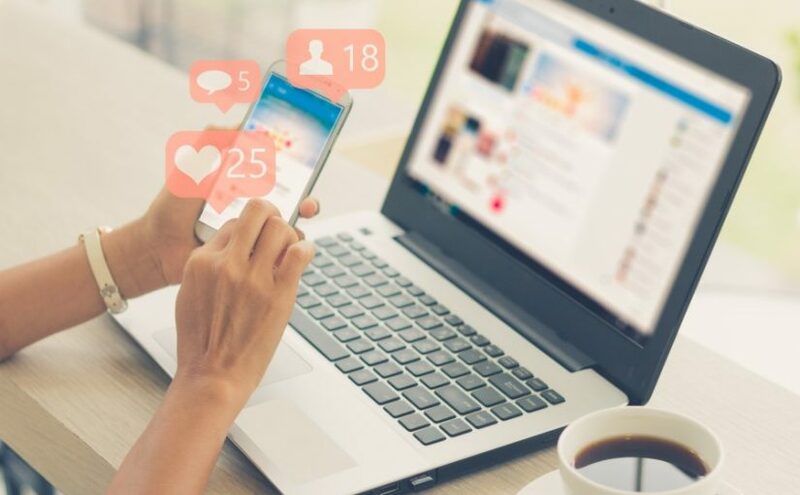 Creating exceptional content is great for organic social growth, but let’s face it – social media marketing is tough, and can be incredibly time-consuming. Paid social however can deliver instant results and rapid growth of followers and fans, and it’s not as expensive, nor as complex, as you may have thought. We’re BIG fans of Facebook when it comes to PPC – it’s simply the most powerful in terms of targeting an audience (and given the niche that is the equestrian business, the ability to target VERY specific people is a must). Your people are your brand, and increasingly businesses are realising the power and value of their employees when they become advocates of their workplace. Key to an effective employee brand advocate scheme are two fundamentals – trust and freedom – trusting in your employees to create content that reflects well on your business and providing them with only basic founding social guidelines to stick to. – Zappos – A brand which encourages their employees to share what they’re doing at work – whether a fancy dress party or Monday morning meeting. A simple idea, but one that really adds the human element. – Starbucks – A company that has a dedicated Twitter account for employees, and that’s invested heavily in motivating store managers to go social – these steps have led to flourishing social accounts which now have 44,000 followers on Twitter, and more than 340,000 over on Facebook. – Vodafone – This communications giant allows employees to use their personal accounts at work, as well as regularly featuring the talents of their employees on their corporate blog. Using a dedicated employee hashtag for your employee advocacy (Zappos use #ZapposCulture and #Zapponians and Starbucks uses #tobeapartner). Encouraging your employees to show plenty of personality – and motivate them to jump in feet first, perhaps with an in-house competition between your workforce. Make it humorous, but make it useful – The posts your employees share should include plenty of light-hearted fun, but they should also be encouraged to share posts, links and information that your customers will find helpful too. “56% of consumers say that they follow brands on social media to browse products for sale, while 31% say that they are specifically on the lookout for new items to buy” – Marketing Week. In short, if you sell online but not on social, then you probably have a ready, waiting and willing collection of shoppers that you’ve so far overlooked. 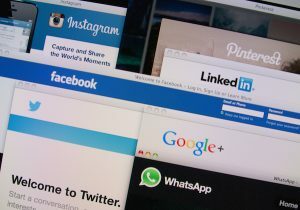 In the past few years, the ability to sell through social channels has got ever more advanced – Facebook has its Offers feature, as well as its integrated stores; Twitter has partnered with American Express to allow purchases with just a hashtag, as well as now introducing Product Cards, and YouTube has a ‘Shoppable’ Channel Gadget, which allows consumers to connect directly with retailers. 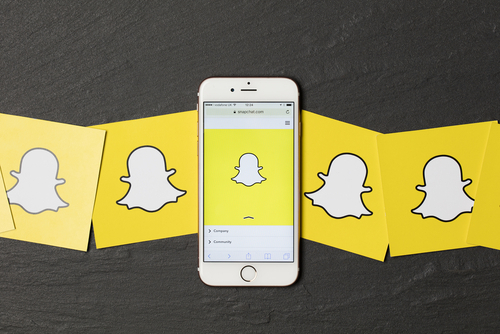 Presspoint Pro Tip: Thinking about selling through social? Then consider the power of video product demonstrations. Research shows that four times as many customers prefer to watch videos about products as compared to reading plain old textual information – Animoto blog. How’s it all going? Any idea? Investing time and money into social media means that you need to know whether your investment is paying off and, more to the point, what’s working well and what isn’t. – Buffer – Buffer offers a free plan, which is pretty comprehensive to say the least. For every single post that you create on Facebook, Twitter, Google+ or LinkedIn, you’ll see a whole load of insightful stats. – Followerwonk – This tool is a real visual treat, breaking down your follower and page activity into a series of great looking, interactive charts. – ViralWoot – This tool is solely for Pinterest, and it provides for much, much more beyond analytics. With this platform you can schedule pins, promote pins and gain new followers. All super helpful stuff if Pinterest is amongst your social platforms. – Quintly – Quintly is an exceptional tool for seeing in an instant how your engagement metrics are fairing – view likes, comments, shares and follower growth in a single screen. You may have heard the news – blogging can be great for business. Perhaps you’re already creating your own blogs – investing time, and likely blood, sweat and tears, to creating pieces you believe your readers will love. Maybe you’re investing cash money into the process – buying blog packages from professional content creation companies. Wherever you’re at – it’s time to step back and ask: What results are you securing? Any idea? Is it even worth your time? Worse still, is your blog a business asset or a liability? Blindly blogging can be a fast track route to, at best, wasted time and/or money. And at worst? It could be harming your business image – serving only to repel, rather than appeal. 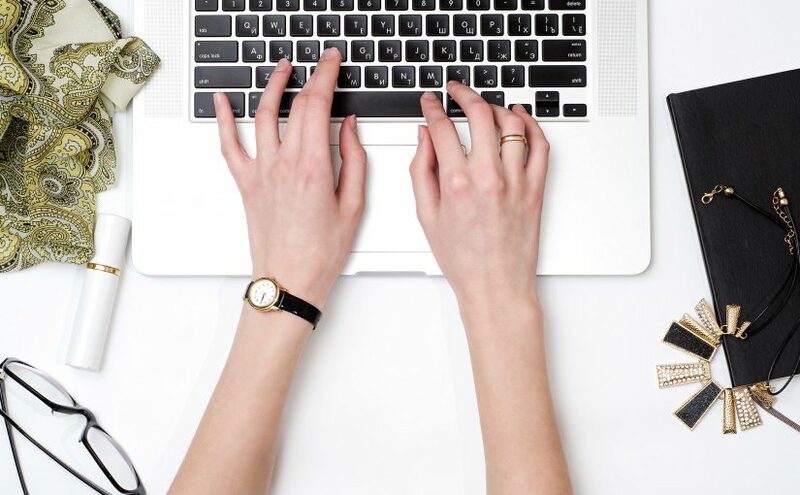 Whatever your situation, this feature will help you establish a blog strategy that results in tangible pence and pounds on that profit margin of yours. Just as with any form of marketing, you need to fully commit if you’re to secure the results we spoke about at the beginning of this feature. That means carving out a dedicated time to commit to blog creation, promotion and performance analysis. Don’t even think about allowing everyday tasks to interfere with this commitment – retreat into an email and phone free room if you must. Why – what’s your purpose? What is your company’s greater purpose? What backstory lies behind this purpose? Who – who should be targeted and written for? Who are you writing for? What do they care about? What concerns, desires, needs or wants do they have, that you solve? What are their pain points? – Blog comments on equestrian blogs, including Equestrian Business. – Questions and answers on equestrian forums. – Tools that can present an overview of fellow equestrian business already blogging (and their successes) – these tools include BuzzSumo and Topsy. These sources of information should inform and guide your knowledge about your customer, creating a persona that includes notes on their interests, challenges, and demographic data. Ultimately you’re trying to build trust through your blog. If you can create high quality information of value for your readers, their trust in you will increase over time. Whatever your exact line of business in the equestrian industry, there’s one thing for certain – you do not, repeat DO NOT, want your potential customers discovering purchase information, guides or blogs over on your competitor’s website. A competitor blog audit is the answer – look to your nearest competitors and get to grips with the content that they create. What do they talk about? How do they answer your target market’s pain points? What tone of voice do they use? How do they use media to keep the reader engaged? There are plenty of great tools out there for helping you quickly assess what your competitors are blogging about, and what results they’re securing – these tools include: QuickSprout, Open Site Explorer and SEMRush. SEO: Not thought about it yet? Now is the time. Understand what keywords and terms your audience are using to find blogs, information, products or services such as yours (for which the Google keyword tool is essential). 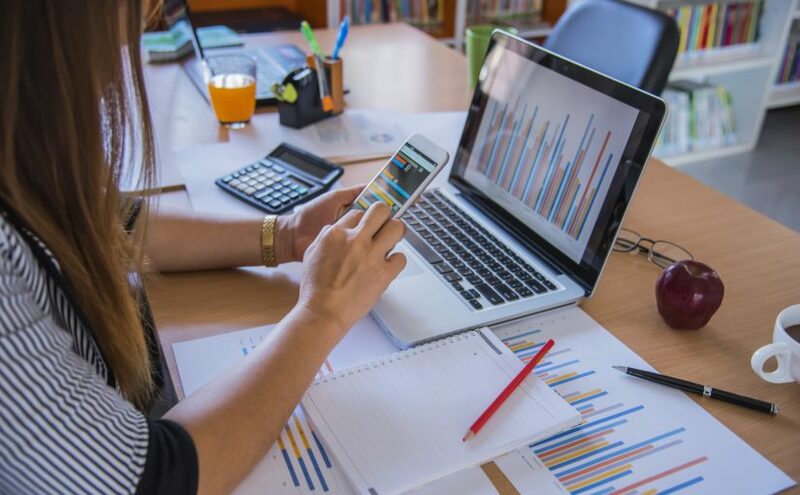 Create a solid distribution plan – such as creating infographics to be shared on social media, turning your blog post into a SlideShare, creating images with key facts, stats and quotes for social networks such as Instagram and Pinterest or breaking down a blog into a complementary email series. The promotional tasks you’ll try in the first six months of your blogging campaign (there’s no perfect science here – as with many marketing areas, it’s a matter of trial and error). A list of influencers who could potentially create a loyal readership and trust in your blog with a single update or guest post. As well as considering Pay Per Click, SEO and social media marketing, there’s something we want to focus in on – influencers. Influencers are those in the equestrian industry who are thought of as credible and trustworthy – those that your target market look to for advice, guidance and opinion. With your list of influencers complete, you’ll need to do plenty of schmoozing. This will involve regular contact with your influencers – engaging with them via email and through their own blogs. You could create complementary opinion pieces in response to their blogs or engage them in debate on social media. How many blogs should you be posting a week or month? Whilst there’s no golden rules as to how regularly you should be posting or how many blogs you should be writing, a calendar plays one critical role – creating accountability amongst your team members. Each person should know what they’re doing, and when. A final word on practicalities – who’s going to do what? Measuring metrics: how did you do? Goal: To decide on metrics that translate to leads, enquires, sales. How will you define success? Sure, the ultimate goal is to achieve a boost in sales and a consistent supply of leads. But how do you get here? How many shares must you generally secure per sale? From blogging to PPC onto social and SEO, we handle every area of digital marketing – a huge, complex arena that’s only getting bigger by the day. Yet while we’re experts, we completely appreciate just how intimidating our world is for anyone less than a pro. So if blogging and content strategies leave you cold, it could be time to consider outsourcing. Which is right about where we can step in.